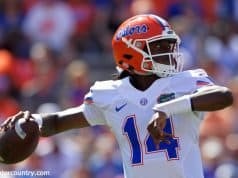 The Florida Gators will host their annual Orange and Blue game on Saturday that will signal the end of spring practice for the Gators. The south endzone will also be full for the spring game as the Gators coaching staff is scheduled to host a lot of prospects on campus for the game. Two official visitors are scheduled for this weekend and several of Florida’s commits will be in town as well several key targets in the 2020, 2021 and even the 2022 classes. GatorCountry brings you a Orange and Blue spring game visitors list preview for this weekend here. This weekend the Gators will host tight end Jonathan Odom on an official visit as the Gators legacy will be taking his second official visit already. Odom has a lot of interest in the Gators but several schools including LSU have made a big push for the tight end. Defensive back Mordecai McDaniel will also be taking an official visit to Gainesville this weekend. McDaniel likes Notre Dame a lot early but this will be his first visit to Gainesville. One of the best players in the country in tight end Darnell Washington (6-7, 248, Las Vegas, NV. Desert Pines) is scheduled to make his first trip to Gainesville this weekend. UCLA has been the team to beat but Washington has been very open about wanting to visit places before narrowing things down. 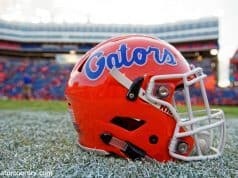 Receivers Bryce Gowdy and Xzavier Henderson are both scheduled to be in Gainesville. Both players have been frequent visitors to Gainesville and the Gators are trying to hold off Clemson for Henderson. 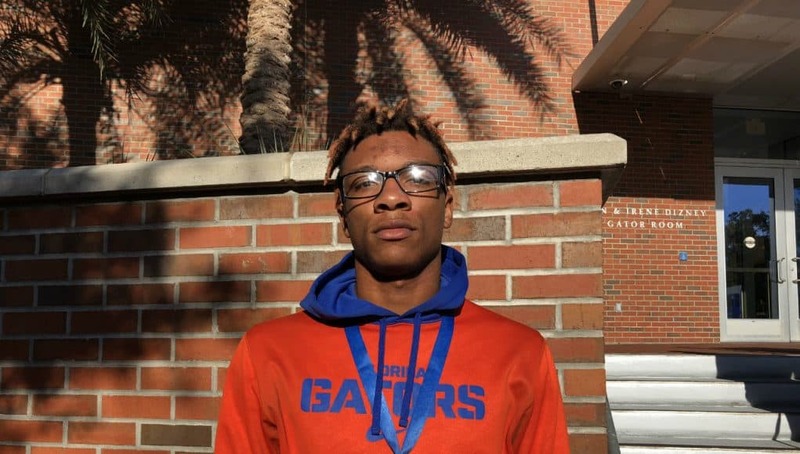 Athlete Jaheim Bell visited Florida earlier this spring and the Gator are recruiting for the H-back position and that’s a position that he feels like he fits well for Florida. The Gators are trending up for Bell after multiple visits to Gainesville. Athlete Jovan Ferguson is trying to make the trip this weekend and has been been on campus multiple times this spring. One of the Gators top targets on defense is Alabama defensive back commit Jahquez Robinson and he’s scheduled to be in Gainesville on Saturday. Robinson has been on campus multiple times this year and admits that his family wants him to continue to look at Florida despite his commitment. Oregon athlete/defensive back commit Avantae Williams has also been a frequent visitor to Gainesville and is scheduled to be at Florida on Saturday. Williams doesn’t talk much about his recruitment but Florida is definitely a team trending up for him. Another defensive back scheduled to visit Florida on Saturday is Jalen Kimber who will be on campus for the first time this weekend. The Texas native likes a lot of schools early on and isn’t close to a decision right now. Linebacker Romello Height recently put Florida in his top group of schools and he will be on campus for the second time this weekend. Ole Miss is a team to watch early on his recruitment. Defensive tackle Jalen Lee will make the trip from Louisiana to Gainesville on Saturday as he continues to visit several different schools this spring. 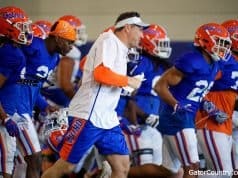 Joining those targets will be several of Florida’s commits that will be in town to help the coaching staff recruit others to join the Gators class. Leading the way is new quarterback commit Anthony Richardson who will make the short drive over to campus. Receiver commits Leonard Manuel and Jaquavion Fraziars are also scheduled to be on campus. Both have taken other visits but remained solid with the Gators. Tight end commit Jeremiah Johnson and defensive back commit Avery Helm will both be on back on campus for the first time since they committed on Saturday. Defensive linemen Gervon Dexter, Morven Joseph and Johnnie Brown are also scheduled to be on campus this weekend for the spring game. Defensive back commit Rashad Torrence was just in Gainesville last week but he will make the trip from Georgia again this weekend. 2021 commits Trevonte Rucker and Bryce Langston will make the short drive up to campus as well as the Gators continue to recruit those guys hard despite already having their commitments.